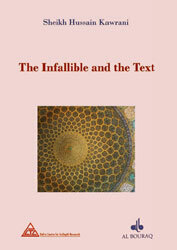 The Infallible and the Text is an extremely important reference work on the issues of a number of methodological approaches that have been deemed objective, though that they have diverted from the sound rational and scientific method. Sheikh Kawrani starts by explaining the multiple approaches to methodology. He argues that those who base their views on the history of methods of the 17th century only speak about the experimental method, not method in general. It becomes clear that the experimental method should be rejected for failing to explain the least of the acknowledged recognition of issues on human knowledge, and thereby proving the intellectual rational doctrine’s hypothesis on the presence of preceding rational knowledge.